We all would love to be as productive as possible and get more work done in less time. You can’t do that unless you manage your time the right way. That’s the reason many folks use lists and note-manager apps on their phone to stay on the right track. 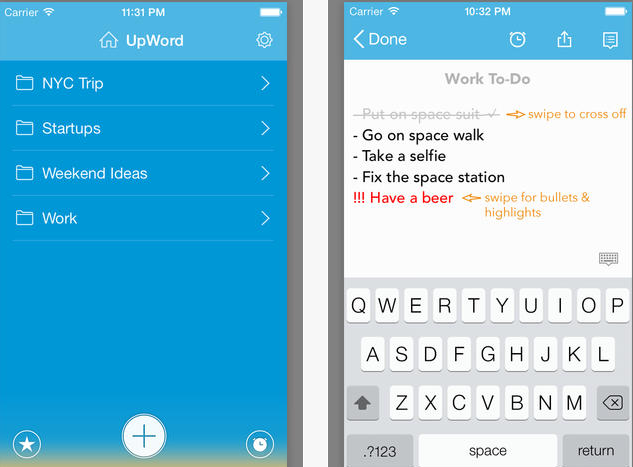 UpWord Notes happens to be a beautiful application that lets you create lists, add reminders, and have your data synced across all your devices. UpWord Notes looks elegant and offers themes and fonts, so you can customize it to your liking. You can create lists, highlight items, and do more with gestures. The app offers TextExpander support, instant search, and word count. You can backup and keep track of your notes via Dropbox. You can also sort your files, use folders to organize things, and archive your data without having to delete anything. UpWord Notes looks beautiful and has an intuitive design. 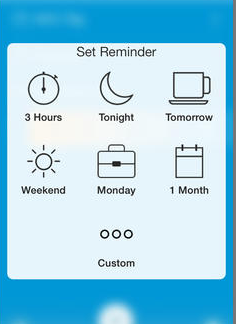 A nice tool to use to keep track of your notes, add reminders, and become more productive.